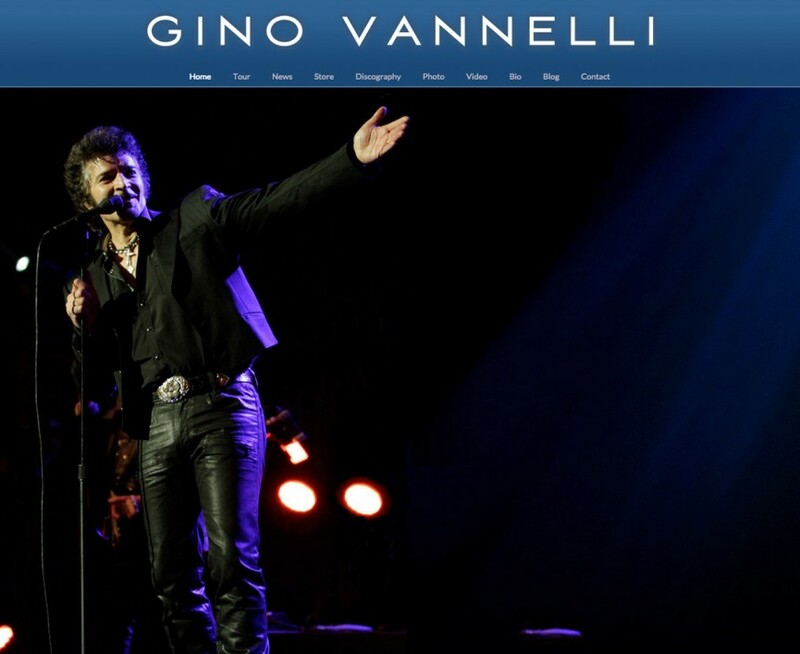 Having sold over 10 million albums, it was an honor to take over the online presence for Gino Vannelli. We completely rebuilt his site with WordPress and focused on large live photos to take center stage. WordPress made it easy to use their blogging backbone to setup a news page and archive, plus Gino’s personal blog and archive. His personal blog is wildly popular with fans chiming in with comments on every entry. As far as aesthetics, I spent many years building websites for punk rock bands, so designing Gino’s website was a fun challenge. I replaced grungy images and dark colors with smooth line work and light colors in hopes of capturing an elegant look. 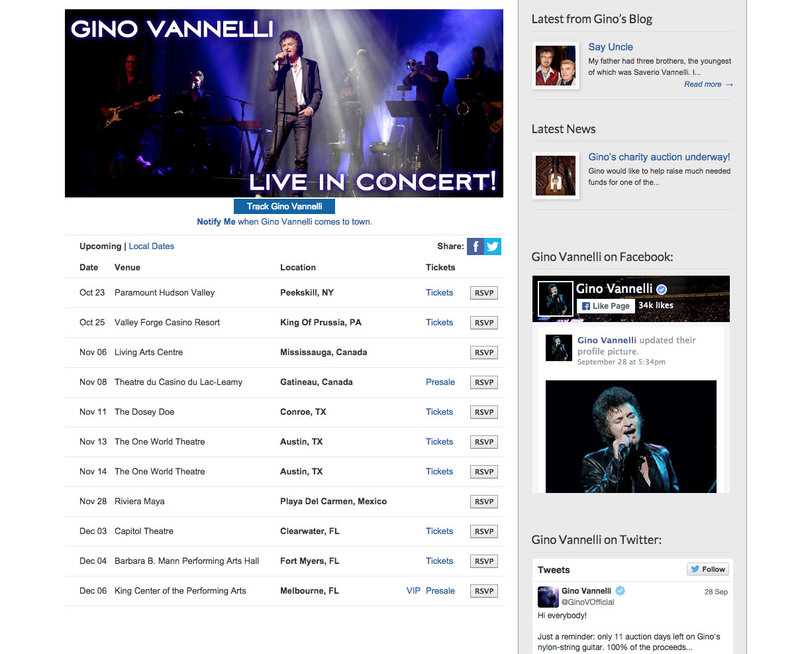 We integrated Facebook, Twitter, and Bandsintown to display tour dates. Overall, a really fun project that has been holding up nicely.